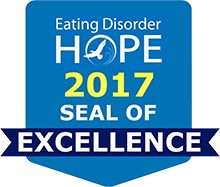 Expert Advisor to Monte Nido Jennifer L. Gaudiani, MD, CEDS is nationally known for her work on the medical complications of eating disorders. She recently opened the Gaudiani Clinic, a unique outpatient medical clinic specifically dedicated to adults with eating disorders. Dr. Gaudiani shares her expertise in this week’s blog post where she discusses her work with patients struggling to ignore their eating disorder voice telling them “I’m fine”. The disorder will use any available evidence to prove to you that you’re fine: you’re still getting good grades, you’re still a star employee at work, your blood tests look normal, you get admiring comments from (terribly misguided) people on the street about how thin you look, you’ve seen sicker looking people than you online…or the greatest argument of all: you yourself have been sicker than this before (however you measure that), and see? You’re fine right now. Without a doubt, this denial of illness is one of the hallmarks of eating disorders, one of the greatest barriers to seeking help, changing behaviors, and confronting coping mechanisms. Feeling like “I’m fine” is one of the devastating cruelties of these diseases, both to sufferers and to their loved ones, and treatment teams. It’s a torment to be restricting, bingeing, purging, compulsively exercising, using substances, or some combination of these…and still have that deep belief that you’re not enough, not “there” yet (at whatever goal the disorder set that day), not sick enough to stop. And it’s a torment to those who love you, hearing you say (argue! insist!) that you’re fine, when it’s so very clear that you’re not. So how can you try to combat “fine”? Because I assure you, having been an internal medicine physician who specializes in eating disorders for the last eight years, that if you have an eating disorder, you’re not fine. Medical complications from eating disorders occur at all shapes and sizes. One of my greatest passions is using my medical knowledge of objective body suffering—whether measurable or not—to break through denial and help motivate recovery. There are two stories I like to tell my patients, to help combat “fine.” I share them with you so that you can use these too, maybe ease the eating disorder’s hold on you today, maybe strengthen a recovery you’ve been working so hard towards. The first story tries to answer the cry of “But I’m not as sick as I have been!” Please don’t compare yourself today to your sickest day ever (thinnest, lowest potassium, weakest, most critical) and decide you are fine by comparison. Imagine instead that you are comparing yourself today with either a truly well past version of yourself, or an imagined potential well self. Everyone’s vision of this is different, but let’s imagine that someone who is truly fine can do some or all of the following: eat joyfully, enjoy a wide variety of foods in a wide variety of settings, have room for spontaneity and connection, not worry about your body’s shape or size, not use a critical inner voice, keep emotional challenges separate from body image, and do physical activity for joy and strength, rather than as an atonement. Ok, now compare yourself with this vision of fine. Depending on how far off you are, that’s how not fine you are. The other story is what I like to call the “house on fire story.” It uses a metaphor to help you understand and challenge your “I’m fine” philosophy, when you find yourself arguing that you can’t be that badly off because you can still (fill in the blank…). Imagine someone standing outside their burning house. The fire department roars up and says, “We’re here to put out your fire!” The person says, “Oh, I don’t have a fire.” The fire fighter says concernedly, “I see the smoke, I feel the heat, I see the flames. What do you mean?” The person says, “Well, if I had a fire, it would be so hot that the sidewalk would be bubbling, and because my sidewalk isn’t bubbling, clearly I don’t have a fire.” At this point, the fire fighter understands the person to be mentally ill and proceeds to put out the fire! I like this story because it sheds light on how absurd (even if, in the moment, compelling) many of the “I’m fine” arguments actually are. Ultimately, look at yourself as a whole person. Not one single number. If you have an eating disorder, no matter what shape or size you are, no matter what your blood work says, you are not fine. The more you fight the eating disorder’s attempts to convince you you’re fine, the sooner you can move back towards the things in life you truly care about, and return to being a whole you. For more information about Monte Nido please call 888.228.1253, visit our website and connect with us on Facebook, LinkedIn, Twitter, and Instagram.